With unintentional injuries being one of the leading causes of death and hospitalisation for Australian children, Kidsafe Victoria were invited by our Health Promotion Team to present at the latest Early Years Network event: Creating Safe Environments – on the 16th October at Knox City Council to provide local Early Childhood Services with information and resources on a range of issues including road safety, product safety, water safety and safe play environments. Resources shared by KidsSafe will support attendees to provide families and the wider community with information and practical strategies to further support safety at these services and at home. By using and practicing the tools shared in these resources it further enables Early Years Services to reach statewide benchmarks for their chosen health priority area Safe Environments as part of the Victorian Government’s Achievement Program. “Kidsafe strongly believes that all children need to grow up in a stimulating and challenging environment that enables them to develop to their full potential. 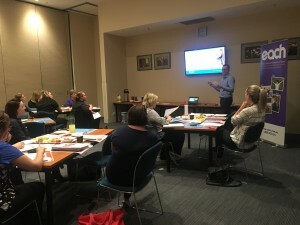 However, unintentional injury rates highlight the significance of providing a safe environment for children to live, grow, learn and play,” said guest speaker Jason Chambers from Kidsafe Victoria. a brand new website and member portal – view it HERE. 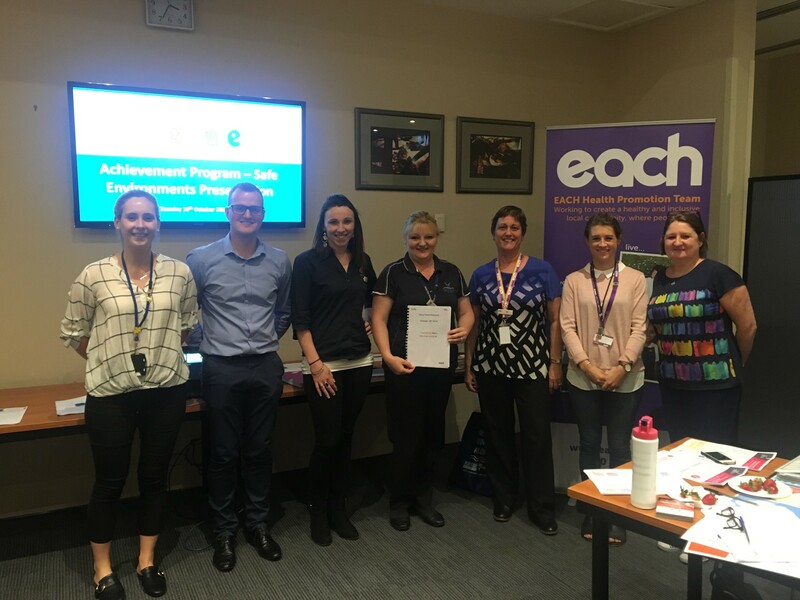 For further information on The Achievement Program Early Years Network events, contact Catherine Delaney, Health Promotion Officer on 9757 6278 or catherine.delaney@each.com.au.